brown coat . .. ........... .
Front pleats, 5 pockets, cuff bottoms. of sport coat and slacks above. Shpg. wts., each, 2 lbs. ; outfit, 4 lbs. 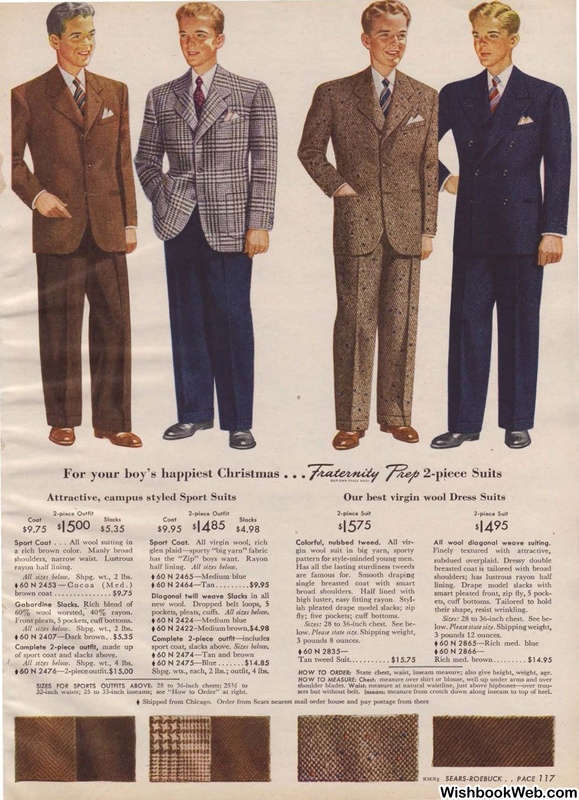 pattern for style-minded young men. fly; five pockets; cuff bottoms. All wool diagonal weave suiting. State chest, waist, inseam measure; also give height, weight, age. 32-inch waists; 25 to 33-inch inseams; see " How to Order" at right. measure from crotch down along inseam to top of heel.